MENLO PARK, Calif., December 18, 2018	(Newswire.com) – ​How many 13-year-old aspiring race car drivers can say they are the youngest driver to ever win a stock car championship, the youngest racer to ever win a full-size midget race breaking a record held by NASCAR Hall Of Fame Driver Jeff Gordon and the youngest to win a BCRA Midget Series Championship? Redwood City, California’s Jesse Love can, and he has now been given a golden opportunity for 2019. 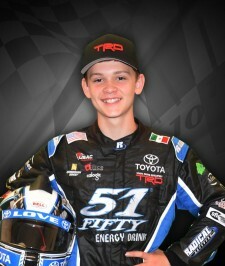 Jesse is a Toyota Racing Development driver, and he will run a series of POWERi Midget races for Keith Kunz Motorsports, along with competing in the SRL Southwest Tour in a super late model prepared by Naake-Klauer Motorsports. The rapidly rising phenom will also see some starts in a 360-winged sprint car out west with Harley Van Dyke Motorsports. The humble but talented young driver is mighty anxious for the new year, and he’s acutely aware of the size of the stages he’ll be performing on as he moves forward. “Next year will be a big stretch year for me, I’ll be stepping up from the wingless spec sprint car to a 360-winged sprint car,” said Jesse Love. “I will also be moving up on the Stock Car side from running with the 51FIFTY Junior Late Model Series and having a few starts in the RPM Pro Late Model Series at Madera Raceway to the SRL Southwest Tour Series in a super late model with Mike Naake and Naake-Klauer Motorsports. If that all isn’t amazing enough, I will also be running for Keith Kunz Motorsports, competing in the POWRi National Midget League. I am so blessed and grateful to be able to have all these opportunities. I know there will be a lot of learning and I’m excited to have teachers like Keith and Mike to help me take these steps at such a young age. At the same time, I’m going into this season believing and expecting that we will win races and be successful because of those around me,” said Love. 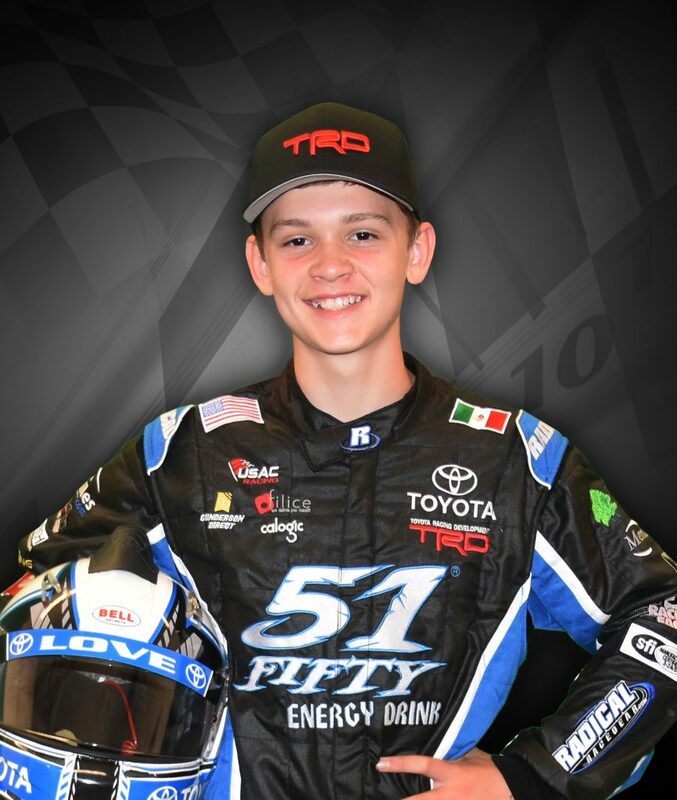 Toyota Racing Development Director of Team Support Services Jack Irving is happy to have the articulate young racer in their family of drivers.